Searching the internet for some original documents from 3M company from the 60's, which is relevant for game collectors, is very hard. You don't find a lot of information. 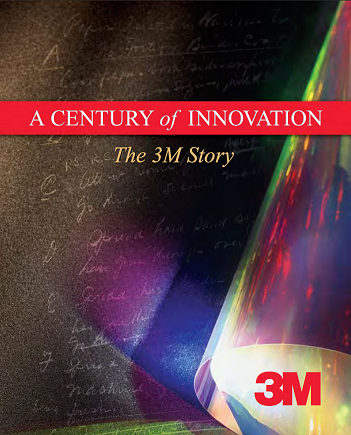 It's an about 250 pages book, full of information published in 2002 by the 3M company itself! 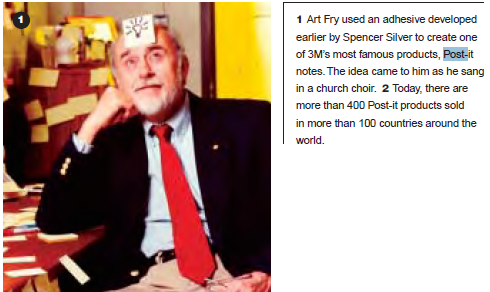 Unfortunately you will find a lot of background information about their "post it" product, but no word about 3M games!! It looks like the games area was not really a great story for the company. I gave it a second try. Such large companies have to publish annual reports every year. 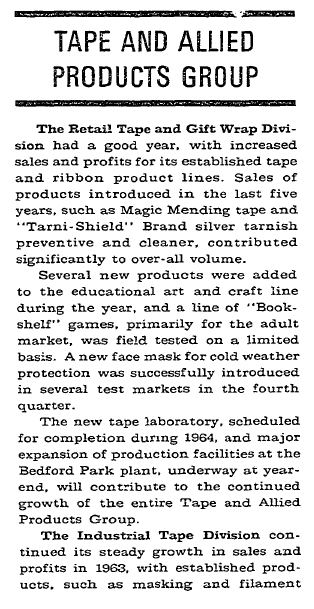 Games were part of the "Retail Tape and Gift Wrap Division" in the "Tape and Allied Products Group". and a line of "Bookshelf" games, primarily for the adult market, was field tested on a limited basis." The reports of the following years contain not more than such a simular info. 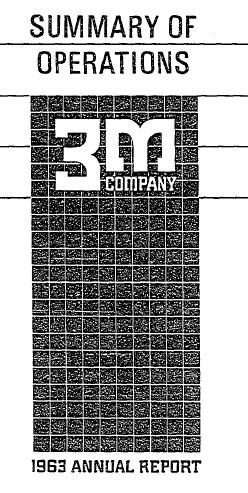 In January 26, 1976, the 3M games line was sold to Avalon Hill. I didn´t found any information about this within the annual reports.